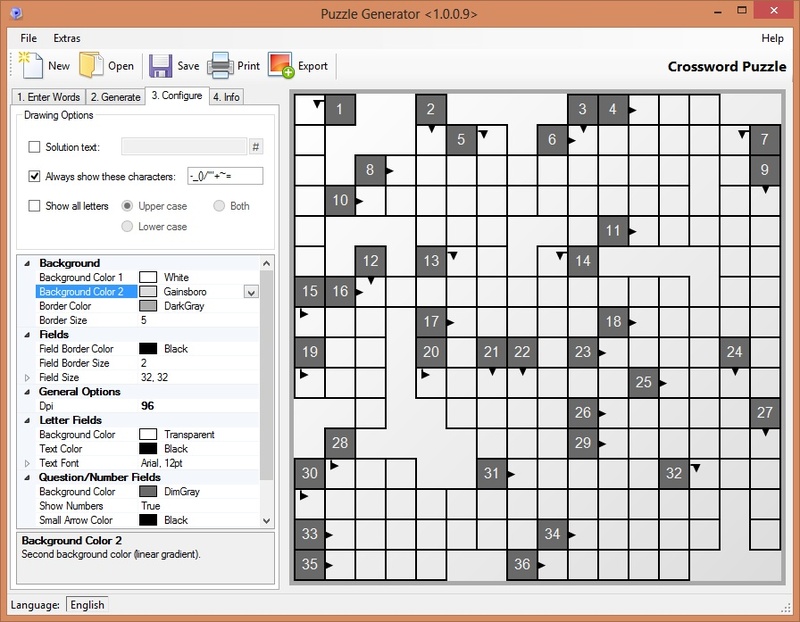 Puzzle-Generator: Windows Tool to create your own puzzles. Use many options and features. Customize your own puzzles. 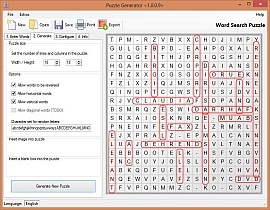 Puzzle Generator is an easy to use puzzle generation tool to create your own crosswords and prepare individual word search puzzles. 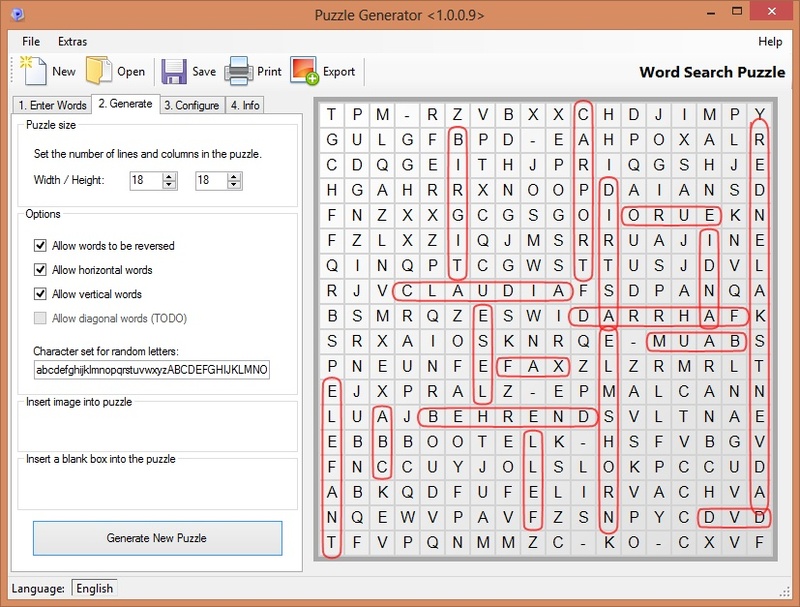 Try numerous customization features and give your puzzles a personal touch with specific words. Generate a unique crossword and use it for birthday, school and marriage or X-Mas gift. Create puzzles for the World Wide Web or print it on magazines or papers. Install in a few seconds. Create your own crosswords with personal words. Generate modern word search puzzles. Play around with lots of options and functions to customize your generated puzzles. Design individual puzzles for print and web. Import your word lists from Excel (via CSV format). Export your own puzzles as image (BMP, JPG, PNG and more). Save your puzzles as Word document (.docx). Randomize words and auto-insert your solution text. Creating crosswords has never been easier. 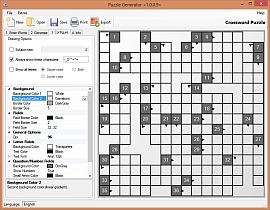 Puzzle Generator is for teachers, students and parents as well as journalists or designers. Create and print customized criss-cross, word search puzzles and more - using your own word lists. Just download the software and try it yourself.